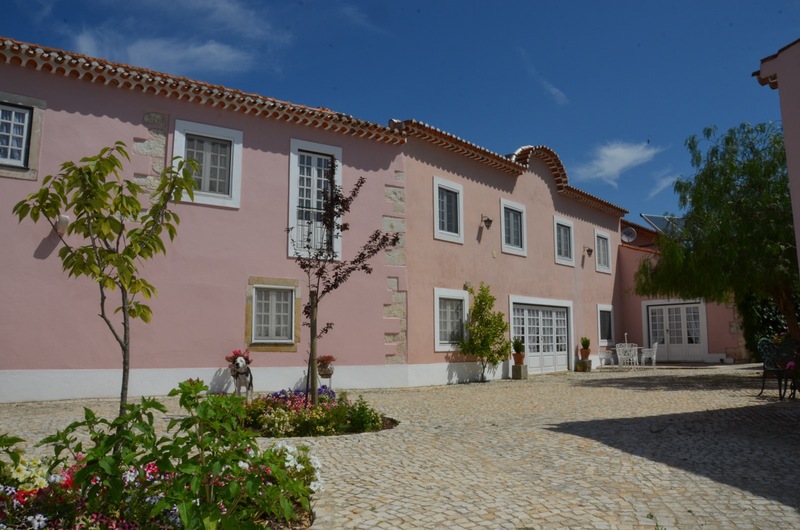 There are two double rooms, very bright ones, filled with light, overlooking a courtyard with traditional Portuguese stone pavement. 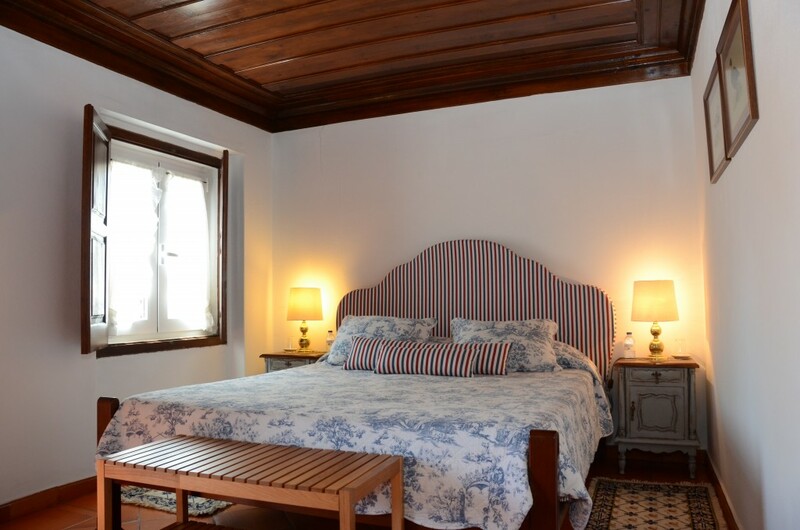 Room facilities: an extra-long double bed (two meters), TV, air conditioning, heating and electric kettle. 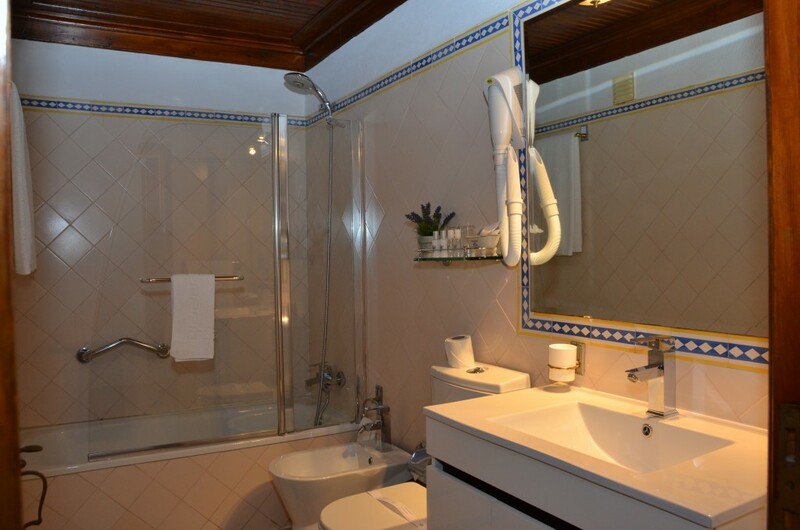 In the complete and private bathroom there’s a hairdryer and free toiletries. Area: 17,20 m2. 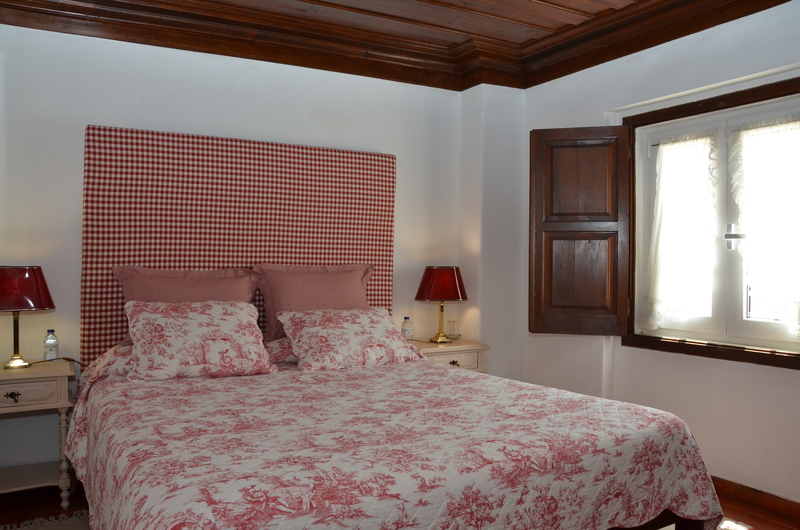 Room Facilities: Vintage furniture including two single beds (2 m or 6’7” long), TV, air conditioning, central heating, kettle. 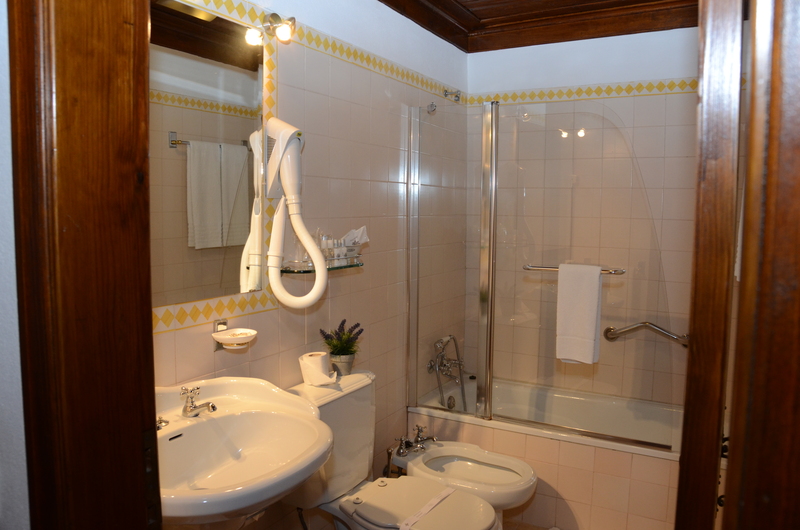 In the 4 piece en-suite there is a shower over bath, a hairdryer and complimentary toiletries. Area: 20 sqm (215 sqft). 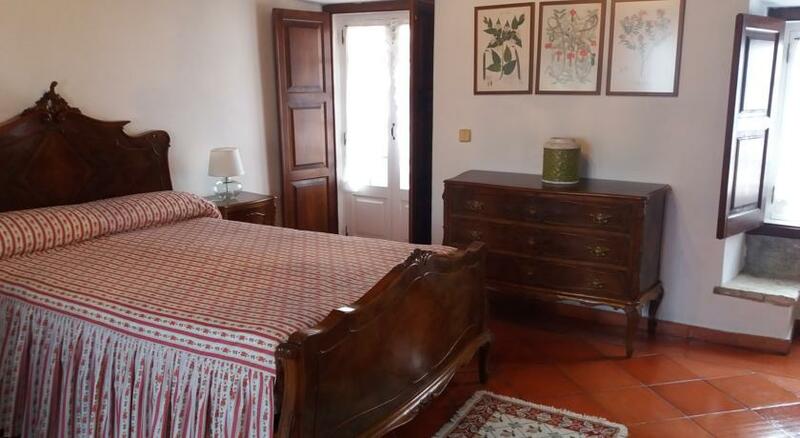 This suite has a room with a double bed, a dressing table, a chest of drawers and a wardrobe with Queen Anne style. It offers views of the house’s patios and private access to a small terrace. 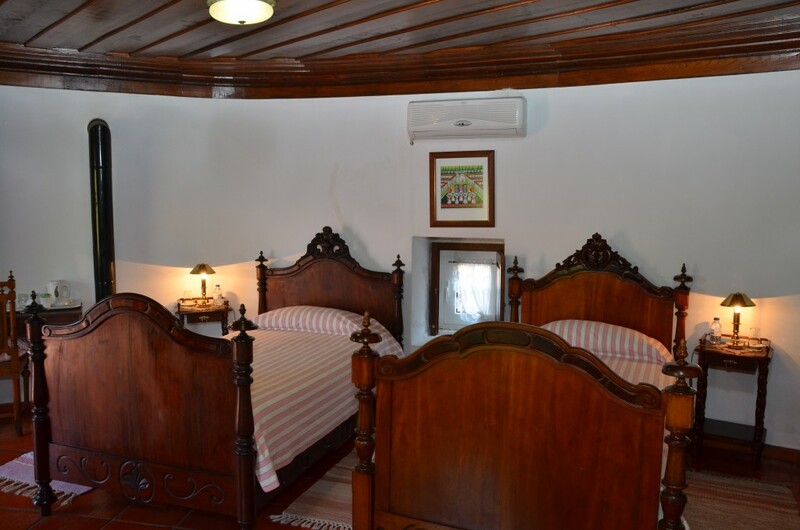 The room is equipped with air conditioning and central heating. 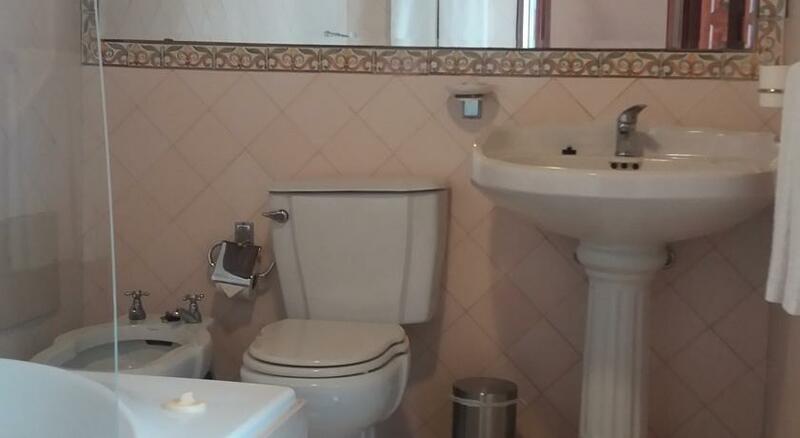 The bathroom includes a hot tub, a hairdryer and heating. 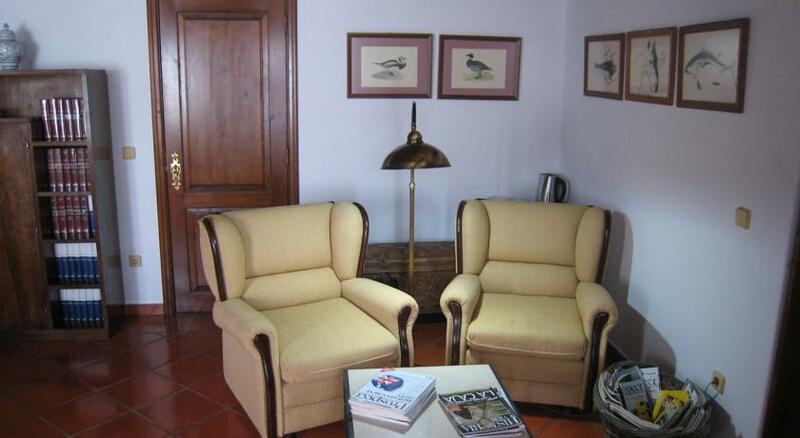 The living room offers views of the interior patio and features 2 individual sofas, a TV, a desk and a bookcase. 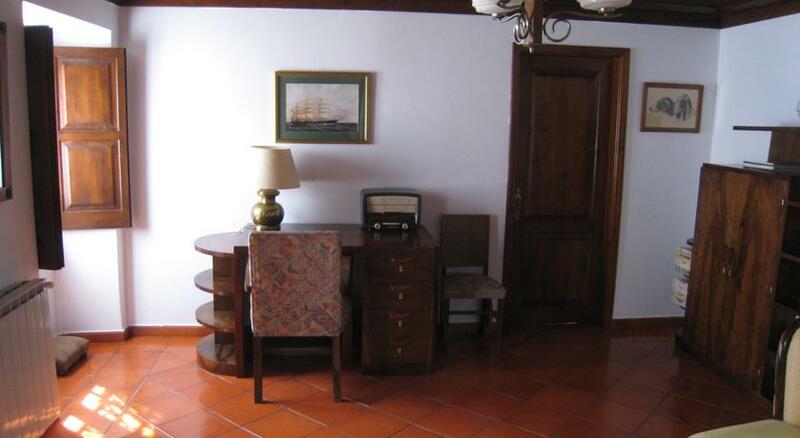 In addition, it includes an electric kettle, free WiFi and central heating. The bedroom and the living room are connected by a corridor with a large closet.